Apple has just released its latest Operating Systems designed for iPhone, iPad and iPod touch on Monday, Sept. 17. 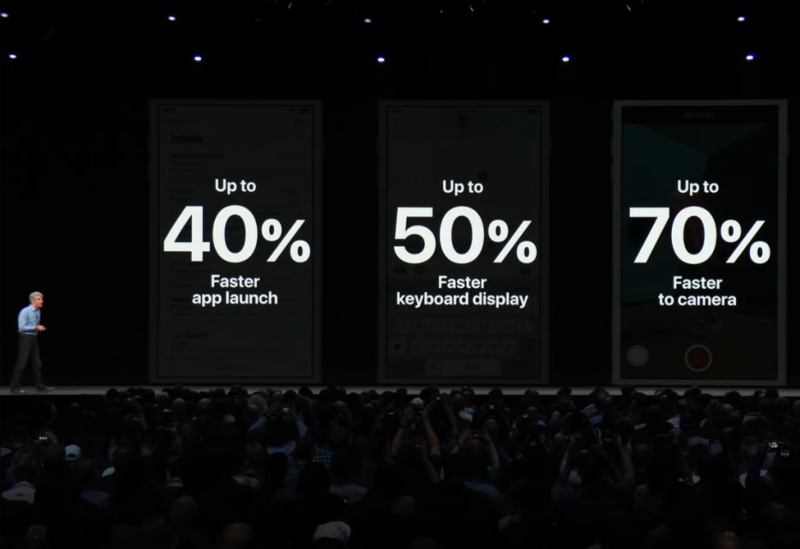 The major software update “iOS 12” focuses on performance boosts and AR Experiences, also adding several new features like Screen Time, Siri Shortcuts, Memoji and more. iOS 12 was first unveiled at WWDC 2018 in June and now available on all devices able to run iOS 11 including 2013’s iPhone 5S, iPad Air and 6th-gen iPod touch. Group FaceTime feature (video and audio with up to 32 people at once) was delayed and will come later in a future update. Apple also today released “watchOS 5” for Apple Watch and “tvOS 12” for Apple TV. And macOS “Mojave” set to release on September 24. This entry was posted in Apple, iPad, iPhone, iPod and tagged Apple, iOS, iPad, iPhone. Bookmark the permalink.